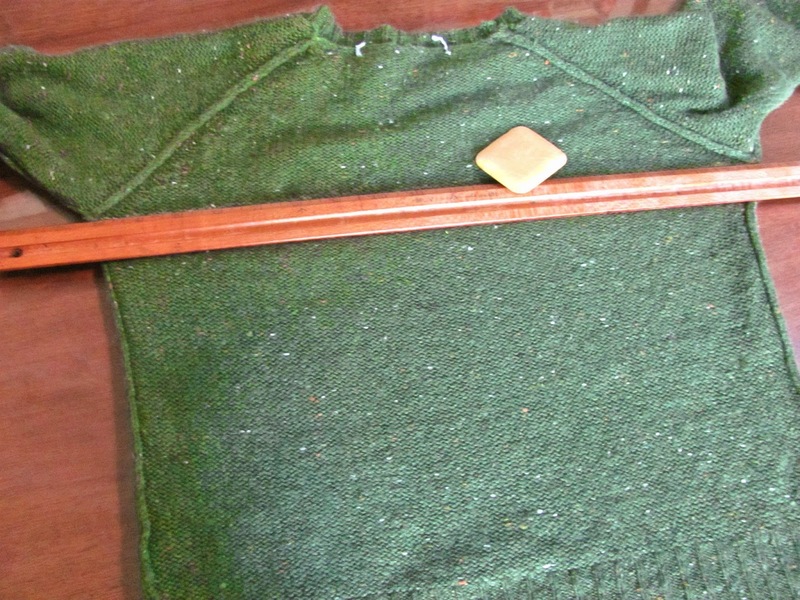 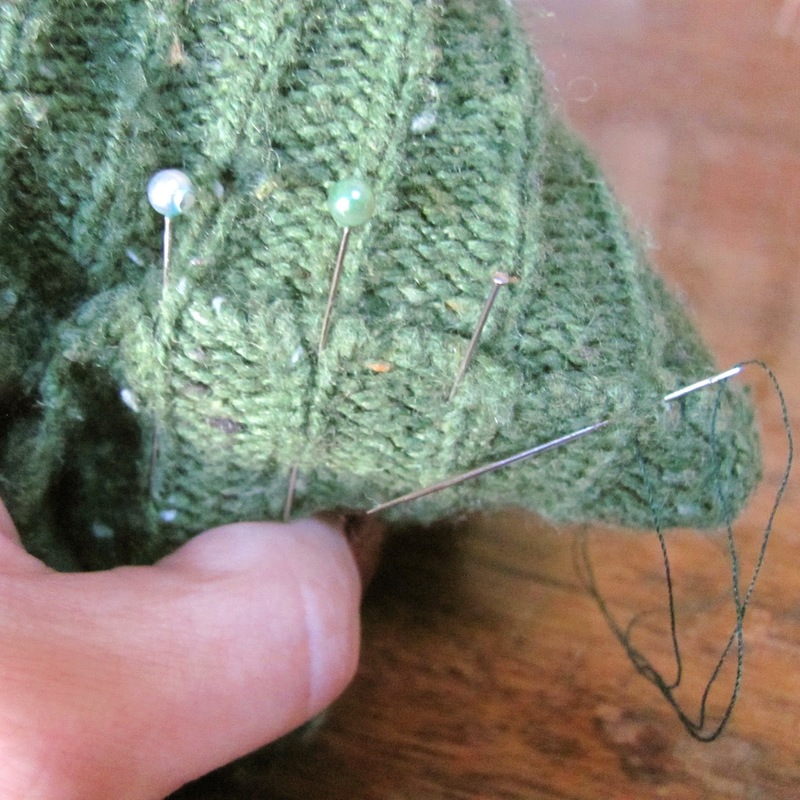 Tomorrow I'll be teaching a beginner's knitting class at the Green Living Centre in Newtown. 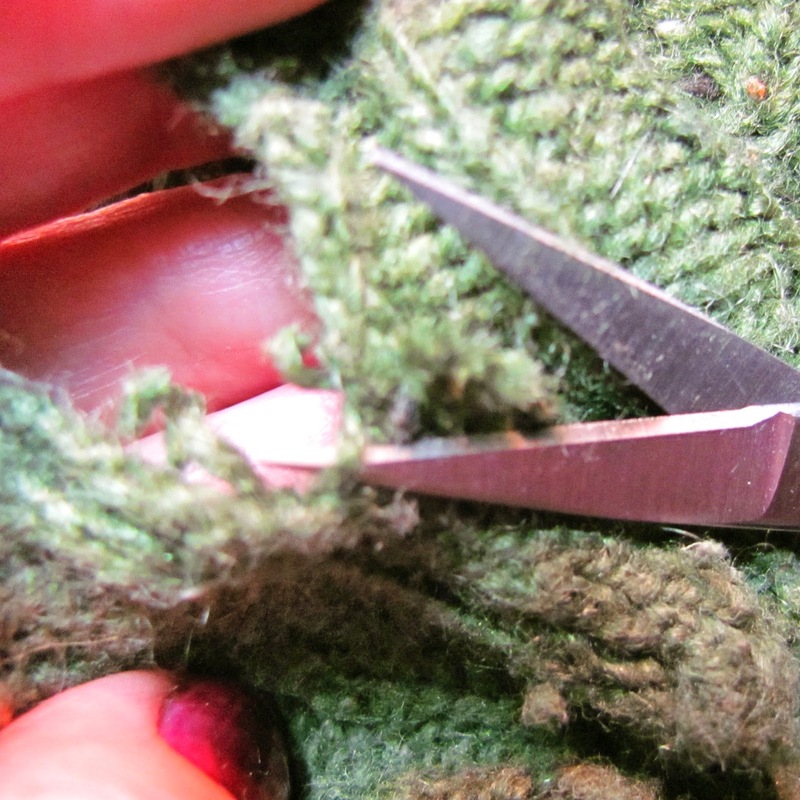 Apart from teaching the basics of knitting I'll be talking about how to knit & be eco-friendly at the same time. 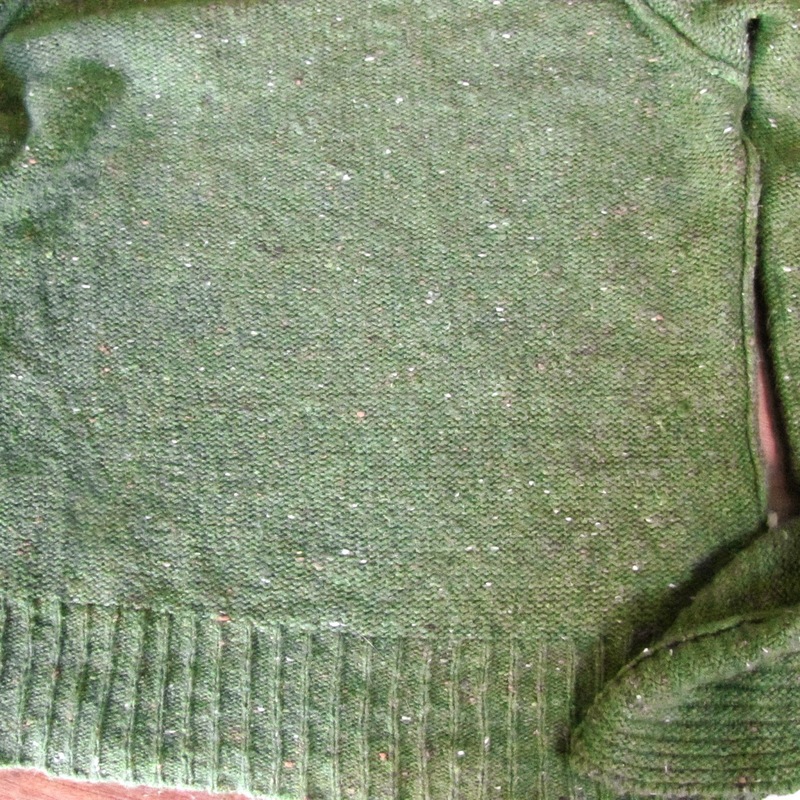 We can unravel (un-knit) unwanted things and use the yarn to knit something new - the bottle green yarn here was once one of my hubby's jumpers (sweater). 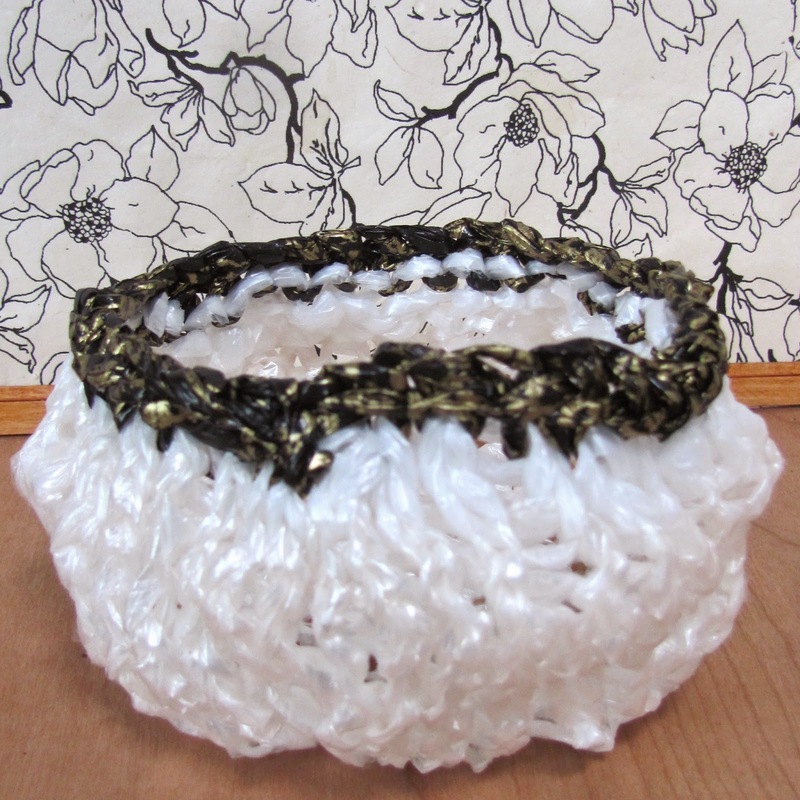 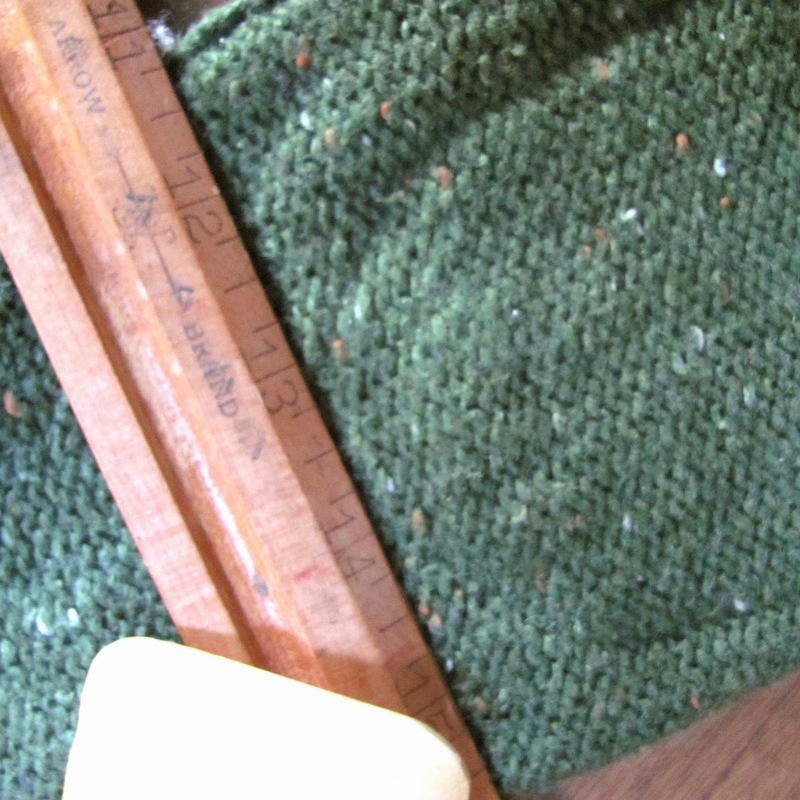 They call it 'Plarn' - and this little bowl only took about 2hrs to knit up! 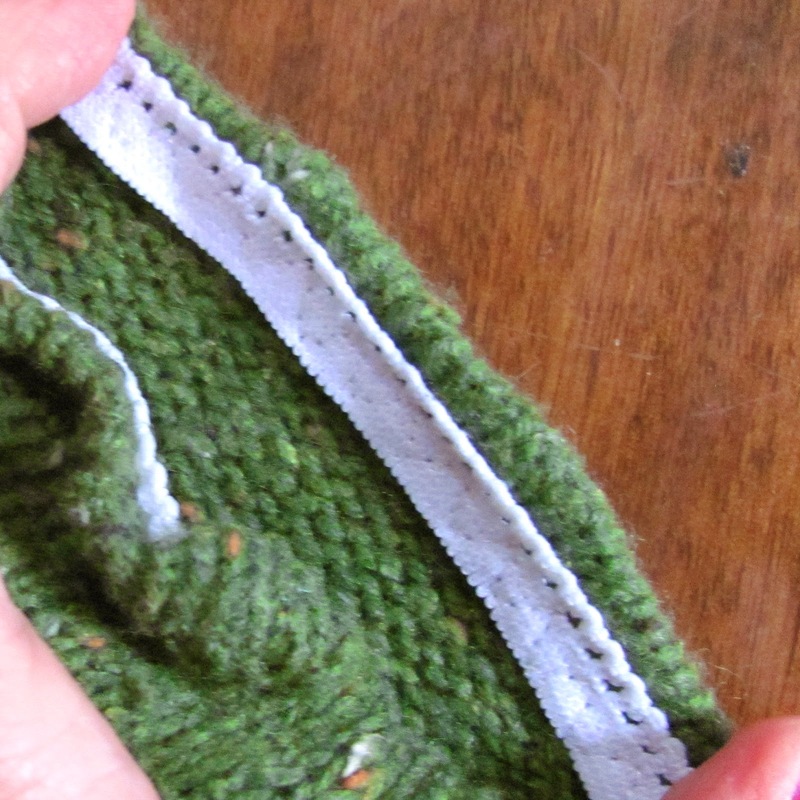 Plarn is possibly better suited to crochet but I've seen rather nice bags made from it (both in knitting & in crochet) and I've seen it used to make a picnic rug - wonderful idea! 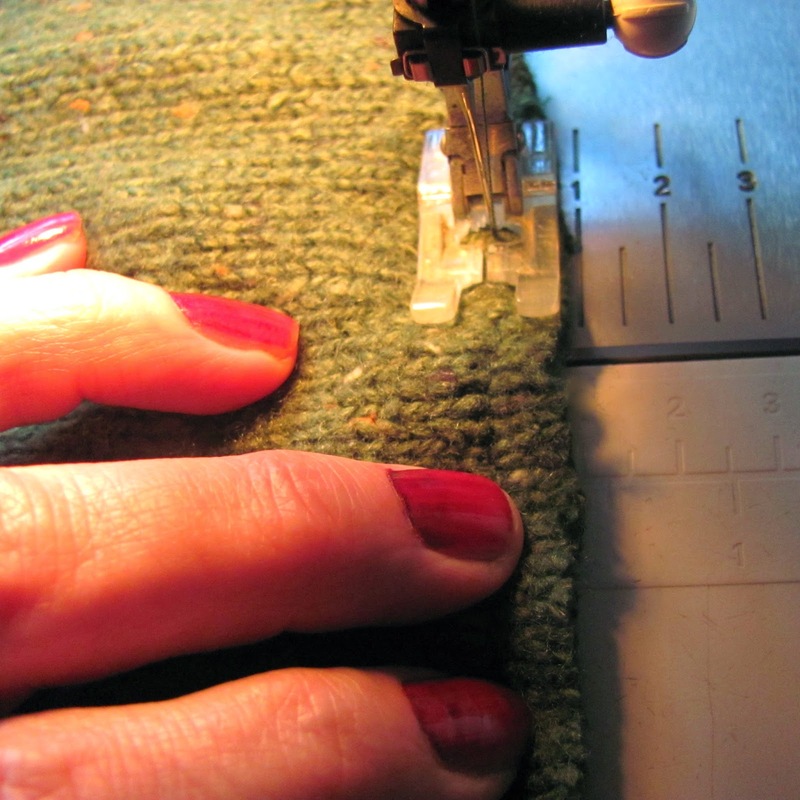 We can also cut old Tshirts into strips that can be knitted or crocheted - and woven fabric too can be cut into strips, just cut it on the bias so it doesn't fray completely away. 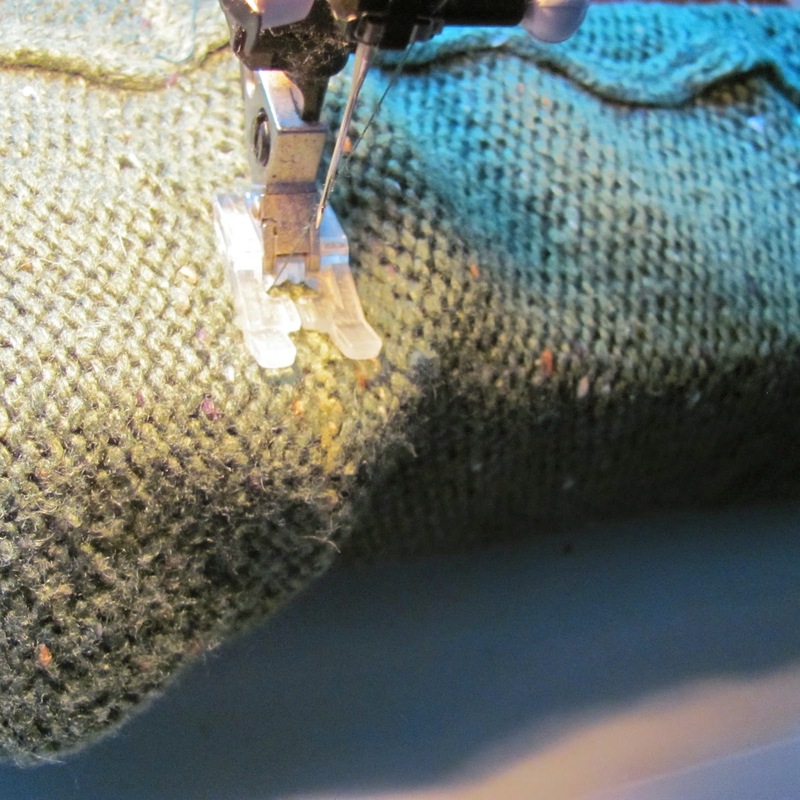 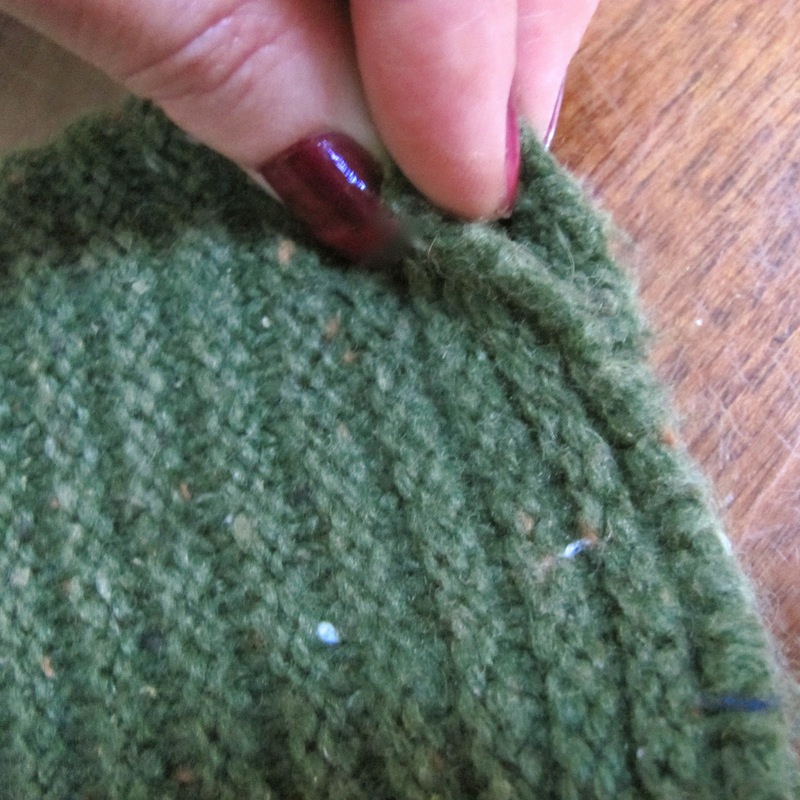 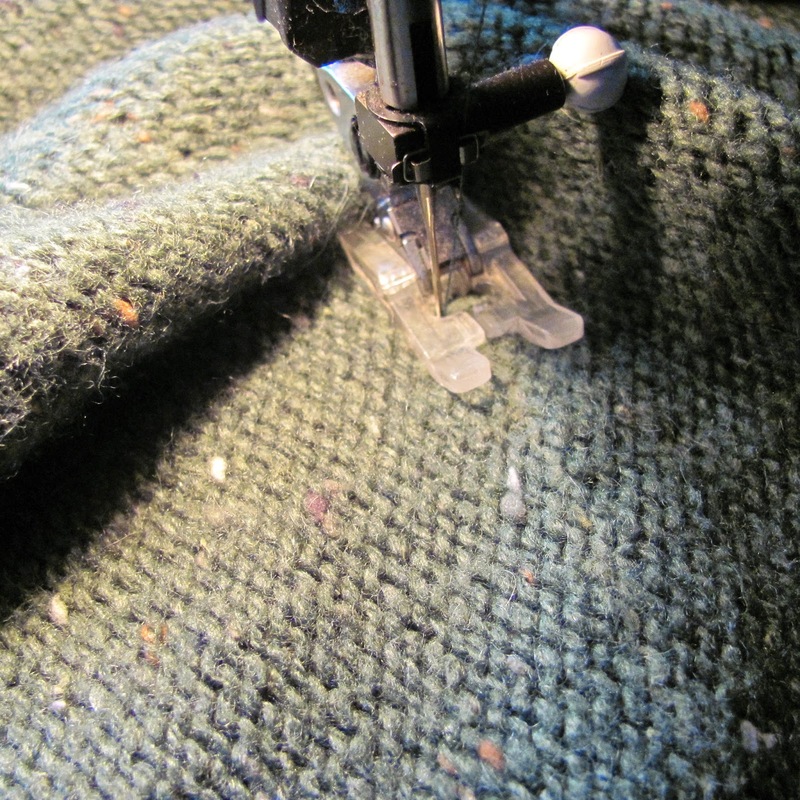 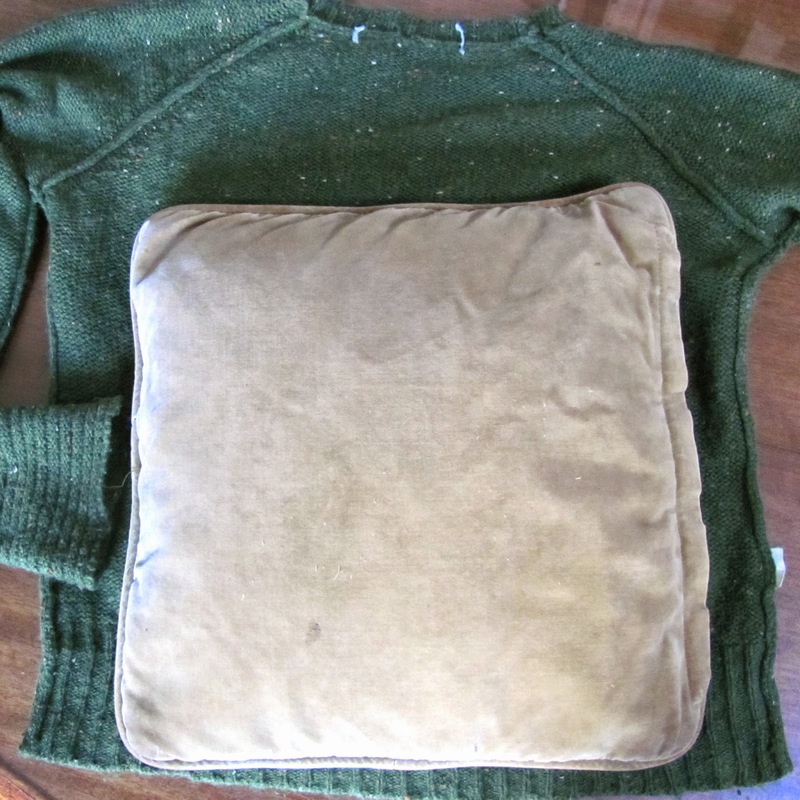 Old jumpers (sweaters) can also be used for the fabric of them - the jumper that shrank in the wash is ideal for reuse as it won't unravel when cut and the fabric is relatively stable and won't stretch under the sewing machine. 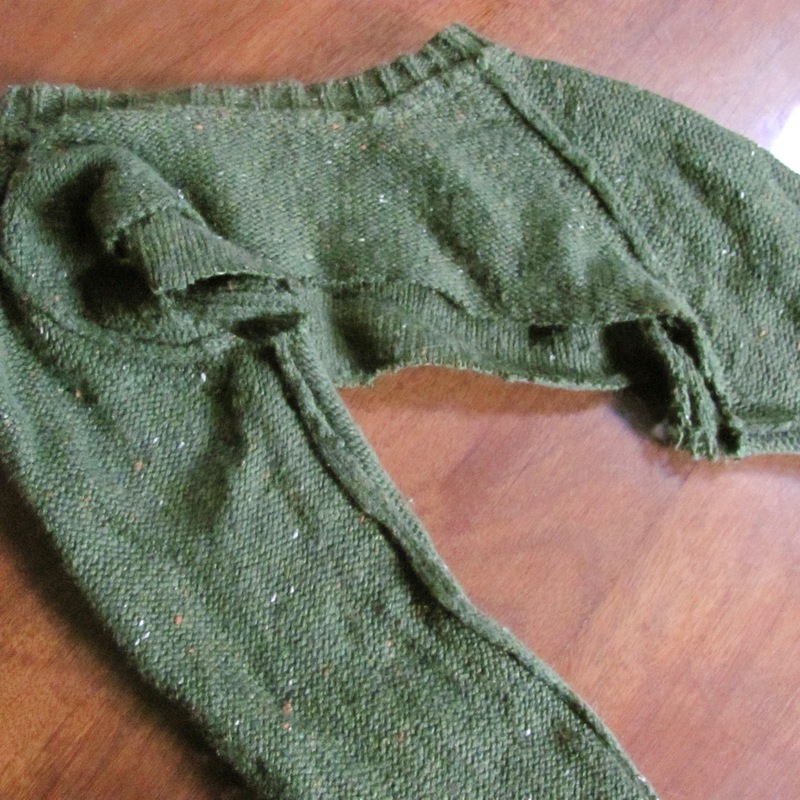 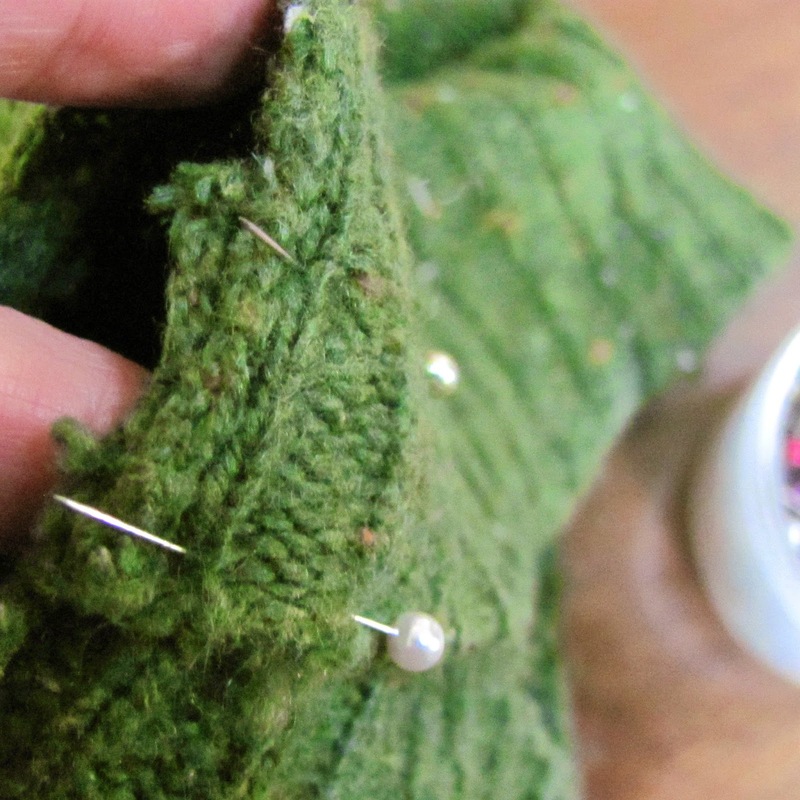 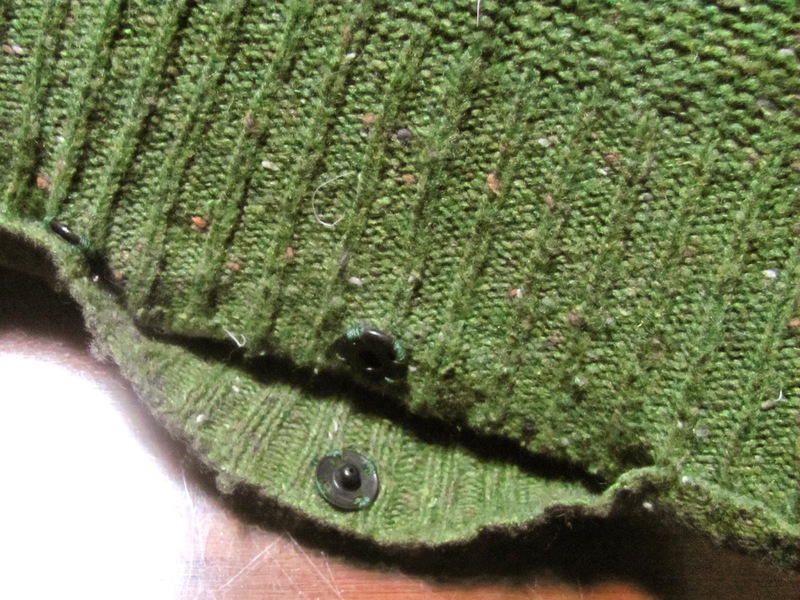 Shrunken knitting can be sewn into all sorts of things, from beanies to dog jackets but what about the old, unwanted jumper that won't shrink? 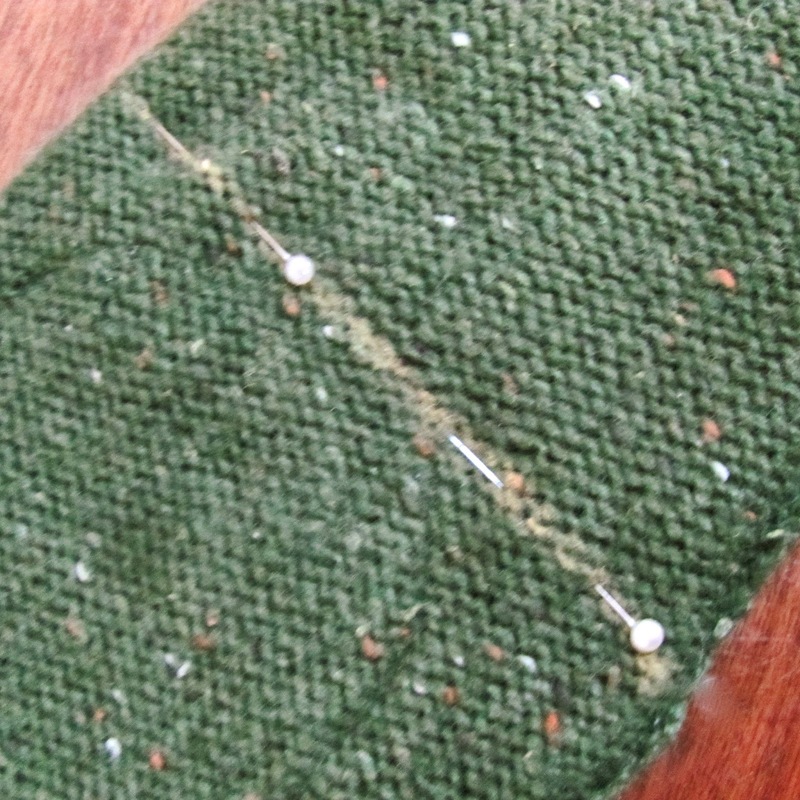 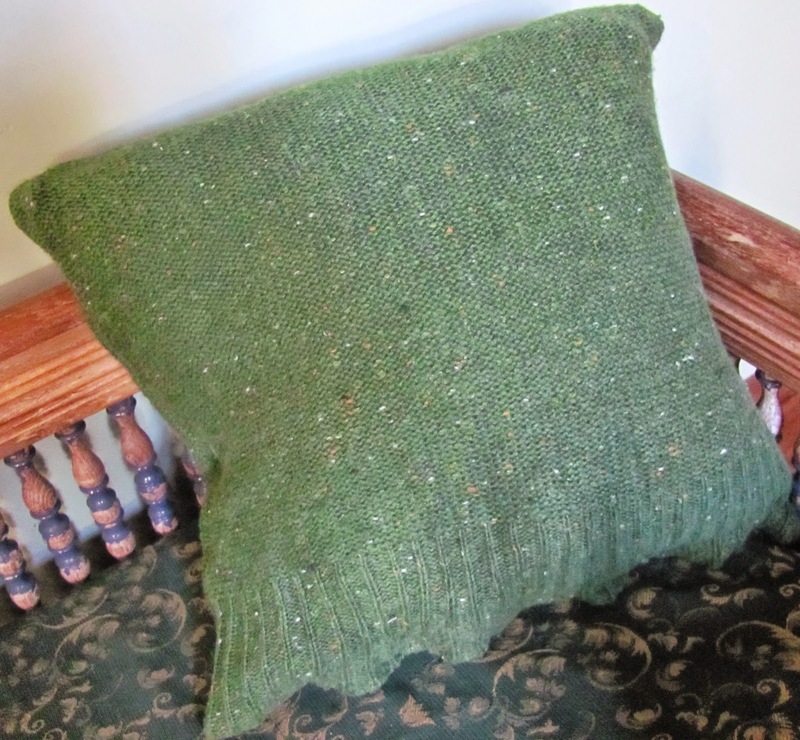 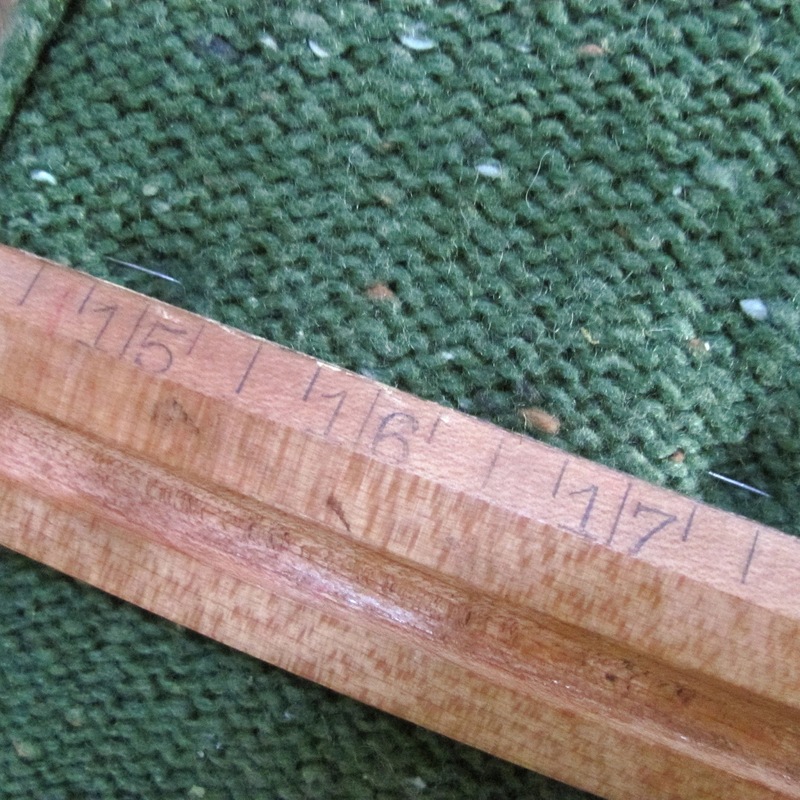 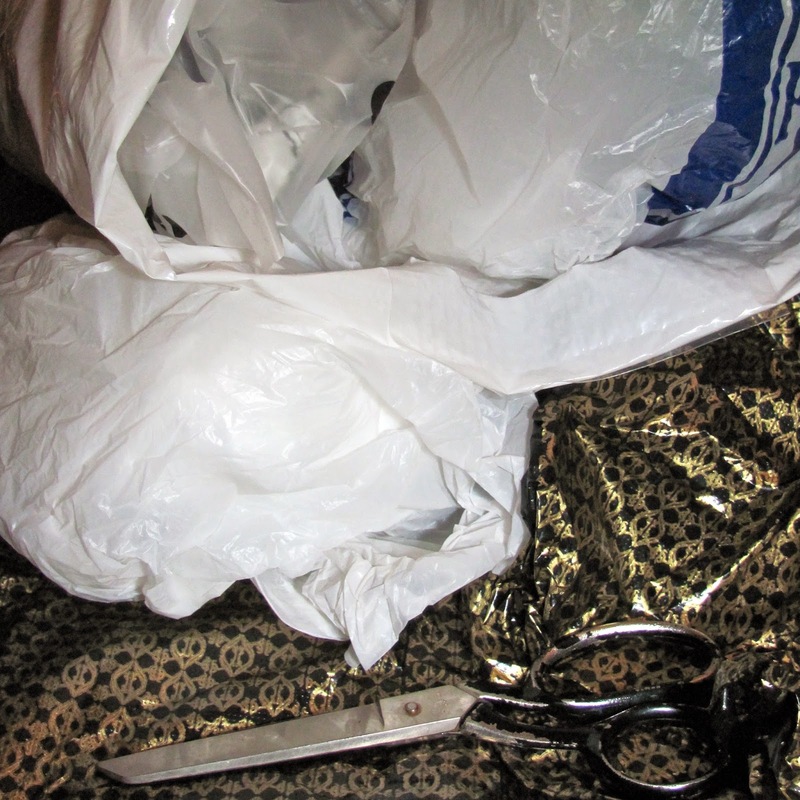 The largest area of usable fabric is from the hem to the underarms - a tube that is roughly square ... and about the same size as this old cushion that is in need of re-covering. 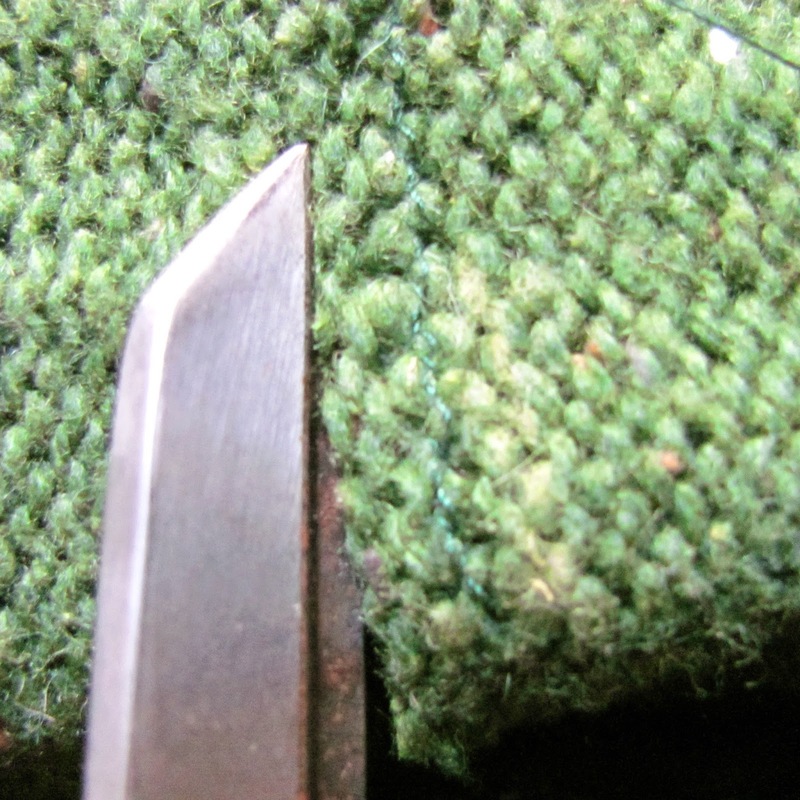 Now - because this jumper would not shrink / it has not fulled (to use the old terminology) if I cut into this it will start to unravel. 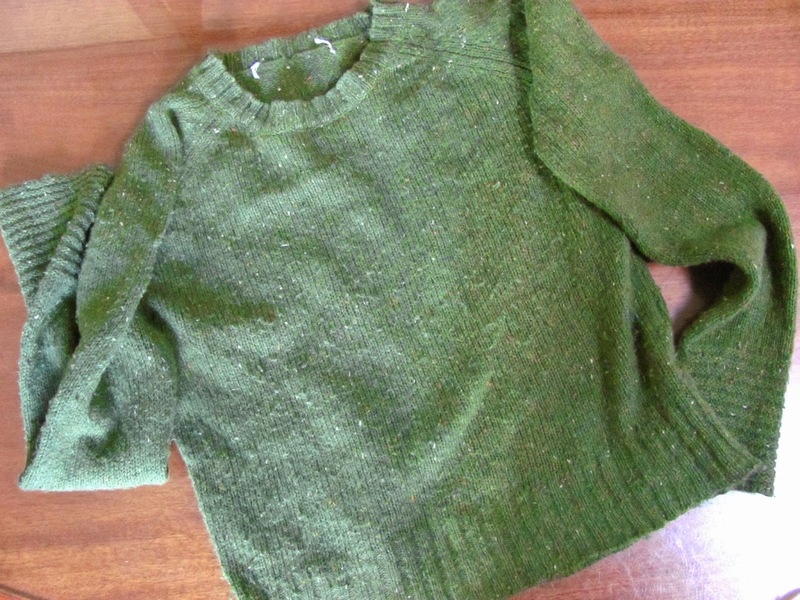 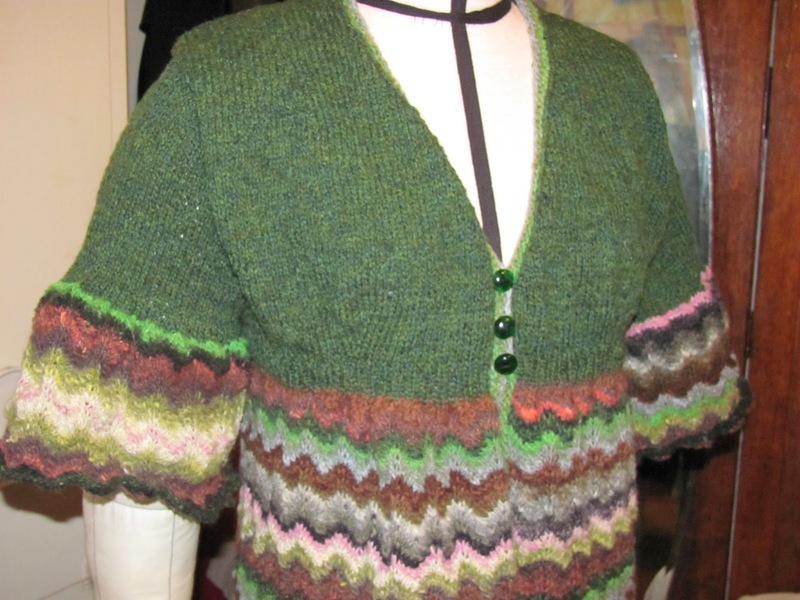 Well - I've reused the 'body' of that old jumper but what can I do with the sleeves? 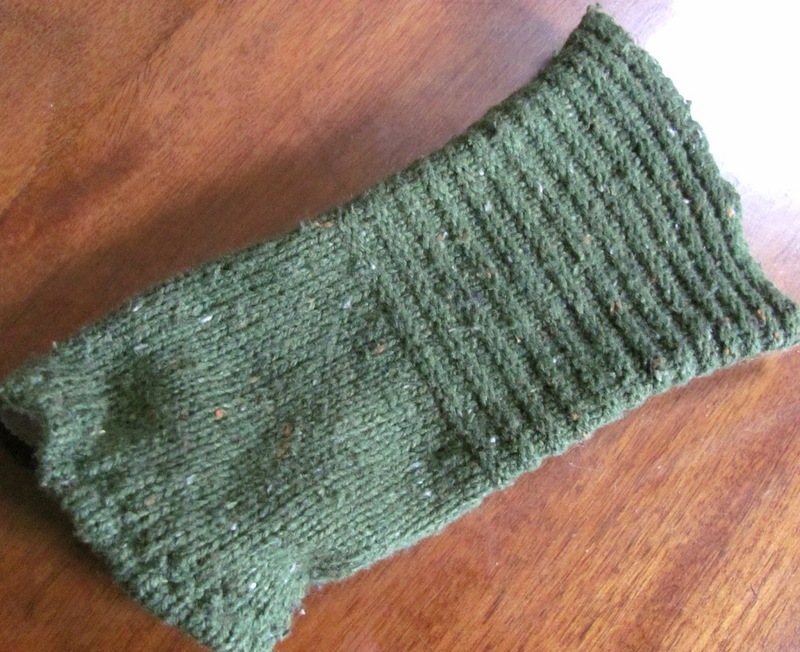 & I forgot to mention that there are strange elbow patches ! 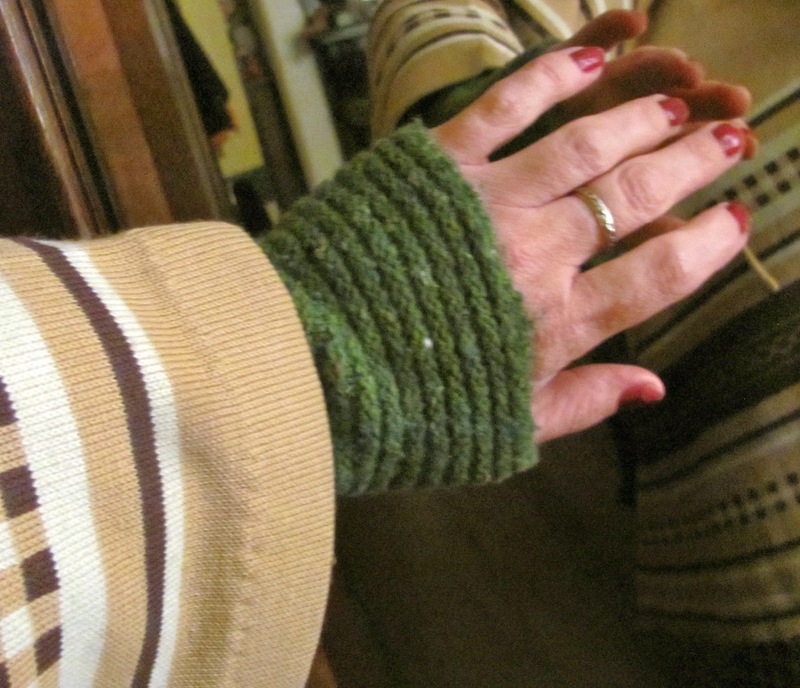 this doesn't really have to look attractive - it'll be hidden under my coat sleeves.